Oppo Opinion Time! We're Craigslisting. 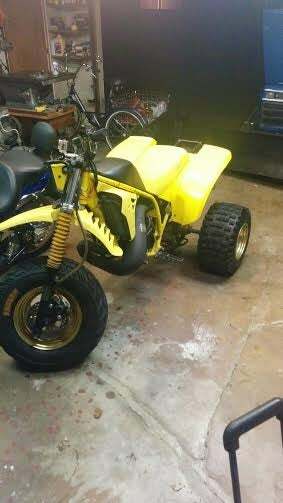 I have the Tri Z up for sale to fund a big bore or CRF swap build on a 200X. Here are some offers.. So, first offer is a scam..
Second Cl offer: Would you trade for professional ink wotk and a little cash? So, No on that.. I never got into Ink. I appreciate it but no. Just no. Third Cl offer: I have a supercharged Grand Prix I’d be willing to trade. Uh Oh. I love the sound of a blower. Not so much a fan of the last gen GP but..
I’m thinking it’s time to pull the ad and keep the bike. What’s your opinion?